Delayed and incorrect diagnosis of infectious diseases has a considerable impact on the health care system, causing significant spread of disease with its consequence of rising morbidity and drug resistance, respectively. The diagnosis of skin infections is usually based on specific clinical features, sometimes combined with microscopic or other laboratory investigations [1-3]. This said, it must be admitted that the latter investigations are not always available in private practice. Because referring patients to specialized centers for microscopic or laboratory examinations may not only be time-consuming (due to hospital waiting lists), but also incur high costs, the so-called ‘ex adjuvantibus’ treatment, based solely on the clinical suspicion of a skin infection, is un-fortunately a common practice. The latter factor, along with the over-the-counter use of antimicrobial medications is thought to be, at least partially, responsible for an increasingly observed drug resistance of human parasites, promoting the vicious cycle of spread and resistance of human skin infections . The dermoscope has become the unbeatable weapon of any dermatologist. Dermoscopy is a noninvasive technique that gained popularity for the diagnosis of pigmented and nonpigmented skin tumors because it improves the diagnosticaccuracy compared to the naked eye examination . The dermatoscope, a modified magnifying lens, renders the skin surface translucent and allows the visualization of submacroscopic structures located in the epidermis and upper dermis . For this reason, dermoscopy is generally regarded as a link between the clinical (macroscopic) and histopathologic (microscopic) examination. We present a case that proves once again the place of dermoscopy in the dermatological consultation. An 8-year-old child, with no notable pathological medical history, who has been presenting for 1 year a volume-increasing papule becoming keratotic in the neck came to our consultation. Dermoscopy revealed linear and hairpin vessels surrounded by a whitish halo(blue arrow) with threadlike haemorrhages at the level of keratosis. (orange arrow) (Figure 2). Cervical CT has eliminated the presence of a tracheal fistula. The child benefited from a surgical resection whose pathology returned to focal epidermal hyperplasia with hyperkeratosis, parakeratosis and papillomatosis , koilocytes , squamous cells surrounded by inflamed stroma , some basophilic inclusions was noted.In conclusion it was a verrucae. Warts are caused by the human papillomavirus (HPV), of which there are over 100 types. HPV probably infects the skin via areas of minimal trauma. Risk factors include use of communal showers, occupational handling of meat, and immunosuppression. In immunocompetent people, warts are harmless and resolve as a result of natural immunity within months or years . According to their anatomic location, warts are commonly classified as verruca vulgaris (common warts, typically involving human papilloma virus strains 2 or 7), verruca plantaris or palmaris (plantar or palmar warts, strains 1, 2, 4), plane warts (strains 3, 10) and condyloma acuminata (anogenital warts, strains include 6, 11, 42, 43, 44). Although their diagnosis is usually based on typical clinical features, clinicians may sometimes be confronted with features that overlap with other skin lesions or that make an accurate diagnosis based on solely clinical grounds difficults.(1). In our case , the localisation was inhabitual and also the clinical aspect.That’s why the dermoscopy was very helpful. The warts can sit on the skin in palm-plantar, mucosa or peri-nail. Our case is quite particular by the localization on the level of the anterior face of the neck, the vascular pattern surrounded by a halot blanchatre in dermoscopy which often orient us towards a keratinizing tumor mainly the epidermoid carcinoma must make think of a wart especially at the child. Entodermoscopy has opened a new and interesting field connecting entomology, infectiology and dermatology, despite representing a fast and easily applicable non-invasive aid for the clinical diagnosis of many skin infections and infestations . In times of an increasing use and subsequent increasing accessibility of dermoscopy in the daily practice of many clinicians, this tool has the potential to expand its application from diagnosing skin tumors to skin lesions in general dermatology . In this artcile, we report the dermoscopy of unusual verrucae. To our knowledge, this is the first dermoscopic description of a corneiform wart with cervical localization in a child. Heukelbach J, Feldmeier H (2004) Ectoparasites – the underestimated realm. Lancet 363: 889–891. Meinking TL(2004) Clinical update on resistance and treatment of Pediculosis capitis. Am J Manag Care 10:S264–S268. Downs AM (2004) Managing head lice in an era of increasing resistance to insecticides. 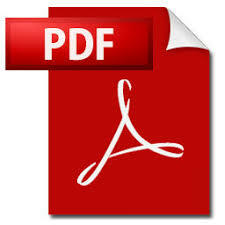 Am J Clin Dermatol 5: 169–177. 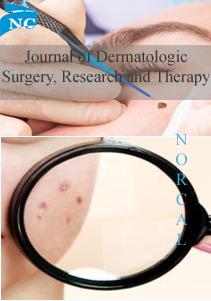 Argenziano G, Soyer HP, Chimenti S, Talamini R, Corona R et al (2003) Dermoscopy of pigmented skin lesions: results of a consensus meeting via the Internet. J Am Acad Dermatol 48: 679–693. Braun RP, Rabinovitz HS, Oliviero M, Kopf AW, Saurat JH (2005) Dermoscopy of pigmented skin lesions. J Am Acad Dermatol; 52 09–121. Iris Zalaudek ,Jason Giacomel ,Horacio Cabo ,Alessandro Di Stefani ,Gerardo Ferrara, Rainer Hofmann-Wellenhof,et al (2008) Entodermoscopy : a new tool for diagnosing skin infections and infestations. Dermatology 216:14–23. Sterling JC. Virus infections. Human papillomaviruses (HPV). In: Burns T, Breathnach S, Cox N, Griffiths C (eds). Rook’s textbook of dermatology. Vol. 2. 8th edn. West Sussex, Wiley-Blackwell John Wiley & Sons, 2010; 33.37-33.54.